Top view of a jade plant (Crassula argentea) at the Frick Art & Historical Center. 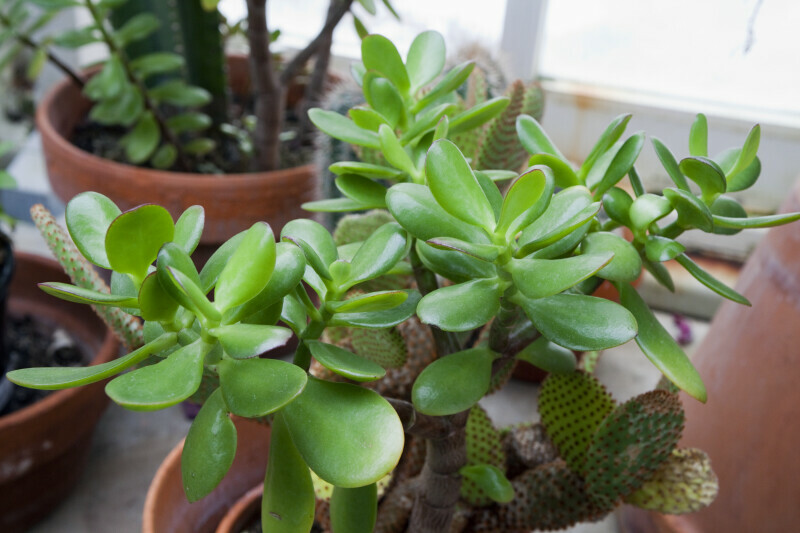 The fleshy leaves of this succulent plant contain water. WARNING: You are about to download a 32.2 MB TIFF!